In a rut when it comes to knowing what to post on Facebook? Frustrated because you can’t get in front of your fans? Trust me, you aren’t alone! I’ve seen many small businesses owners get hung up on posting the same type of content over and over again…whether its working or not. The good news is that you can still create awesome content that your fans will love and when they show the love, you get more reach! This type of Facebook post idea is great on a number of different levels. First, people LOVE to answer questions and to help solve problems. Also, if you ask a question that may also help THEM with a problem, they’ll be grateful for the help! What would you do if…….. I need to make a decision and am looking for your feedback…. What advice would you offer to a person who is struggling with…. Bonus tip: Take the responses you’ve gotten and turn them into a blog post. This will give you new ideas for your content, and also give you something else to share with your Facebook audience! There are a ton of great contest apps out there that you can use to run your contest AND grab emails to add to your list as well! There’s nothing like a good twofer, right? I currently use 22 Social and have had great success when using their app to run my contests, promotions and special offers. There are also other apps available like Wishpond and ShortStack. You can also run Facebook contests directly on your fan page. Submit a photo contest – Best photo wins! Looking for more contest ideas? 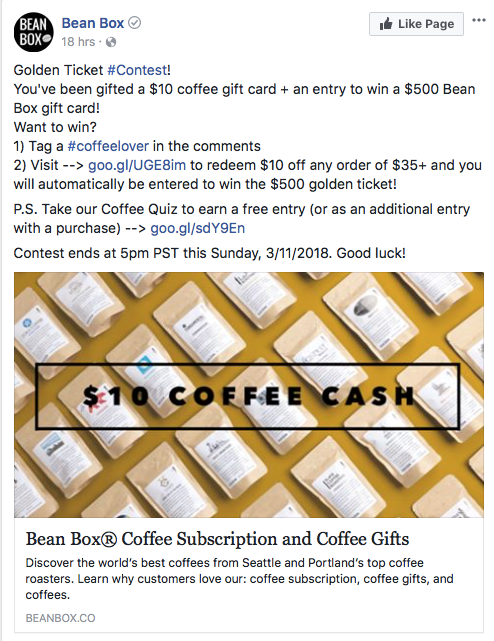 Check out my post, 13 Killer Facebook Contest Ideas. You may have heard of some changes that are coming to your Facebook feed…changes that will impact what businesses should be sharing on their pages. Facebook has said that posts that “spark conversations and meaningful interactions between people” will get greater exposure in the newsfeed. Polls and surveys are great not only for generating discussion but for gaining valuable insights from your audience. 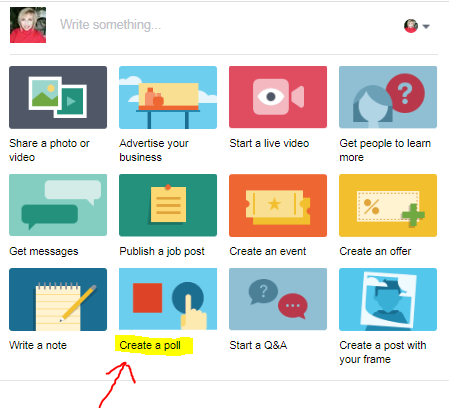 Creating polls on Facebook has never been easier. Simply go to the posting box on your page and select Create Poll from the drop down menu options. Next to your profile picture, enter the question you want to ask people. Next, enter the options for your poll. Add any photos you want to your post. Select the date you want your poll to end and hit post. Voila! You’ve created a poll on Facebook! Alternatively, you can do a survey using a free tool like Google Forms or Survey Monkey (free for up to 100 responses). What products would you like to see us offer? What strategy has worked best for you when it comes to ________? What are your favorite tools or products to help with _________? What is the #1 issue you’re currently struggling with? Bonus strategy: If your poll or survey collected data that would be interesting to your audience, share the results in a separate Facebook post. You can even use the survey or poll results as an opt-in freebie! Particularly in the case of local businesses, Facebook recommends creating events as a way to elicit engagement and get more visibility in the Newsfeed. Another strategy that will get your fans talking – and therefore bump up your exposure in the Newsfeed – is sharing live videos. In fact, according to Facebook, live videos get an average of 6x as many interactions as regular videos! Stories have a way of cutting through the noise and making an impact on people. They also have a way of getting seen in the Newsfeed! With so many businesses flooding Facebook with boring, promotional content, stories related to your life, family or business are sure to be appreciated. For more on the hows and whys of using stories in your business, check out my post, 5 Reasons Storytelling is a Must for Marketers. If you follow me on Facebook, you know this is a strategy I use almost every single day! There is so much negativity in the world (and on Facebook)…I choose to encourage and inspire my fans by posting inspirational or motivational quotes and images instead. This works with every client we have ever had, by the way! Fortunately, you don’t need a designer or tons of money to create eye-catching images you can use. Some of my favorite tools for creating social media images are Canva, Adobe Spark, and Pic Collage. For more tips and tricks for creating stunning graphics, check out these posts: How to Create Amazing Graphics with Phone Apps and The Secret to Great Facebook Graphics. Give your fans the opportunity to share a link to their website, group or Facebook page; not only do they get the chance to showcase their business or products, but they can meet new people and make new connections. This is also a great strategy for getting interactions on your post…which means an increase in Newsfeed visibility! I’m not exactly sure what it is about filling in the blank posts, but people just love them! You can rephrase just about any question as a fill in the blank, and they often receive more engagement than basic questions. Test this out for yourself! I see many business owners simply posting links to their blog posts, without including any additional context. When sharing a blog post, be sure to include a description or short excerpt from the post so your fans know what to expect when they click on the link. You could even include a personal story (either yourself or a reader’s) about your own struggles with the issue discussed in the blog post…and how you overcame it! This is a strategy I often use when I have something I want to promote or give away for free on Facebook. Instead of simply linking to a particular product, landing page or offer, ask your audience to comment with a particular word or phrase in order to get it. For instance, in the post above, I asked my audience to respond with “Chatbot” if they wanted more information. Not only does this mean more comments (and therefore more visibility in the Newsfeed), it means I can connect on a more personal level with my audience through Facebook Messenger! A great way to built trust and credibility is to share “quick wins” with your audience. These are simply very practical, proven tips – in this case, by video – for achieving a particular goal or overcoming a certain issue. People also LOVE to see behind the scenes stuff – so bring your camera to your next staff meeting, lunch or event! This is where you, as a small business owner, have an inherent advantage over big brands. Don’t be afraid to post a personal photo or story from time to time to differentiate yourself from the big brands your fans also follow. 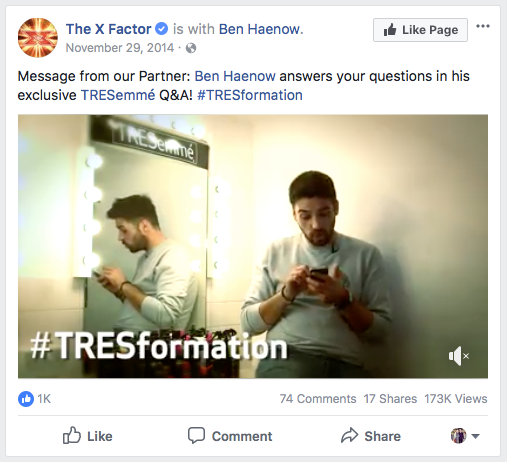 Live video is ideal for holding question and answer periods on Facebook – but you can also hold Q&A’s via a text-based post. Ask your audience to hit you up with their most pressing questions, then set aside half an hour to an hour to respond. These Q&A sessions are great for providing value, for building trust, and for getting exposure in your fans’ feeds! A challenge can be a great way to bring your fans together, get them engaged, and help them feel less alone. Post a simple challenge – something strategic they can do to solve a problem or overcome a hurdle. Want to try out a challenge but aren’t sure where to start? Check out my blog post, How to Prepare, Plan and Launch a 7 Day Challenge. 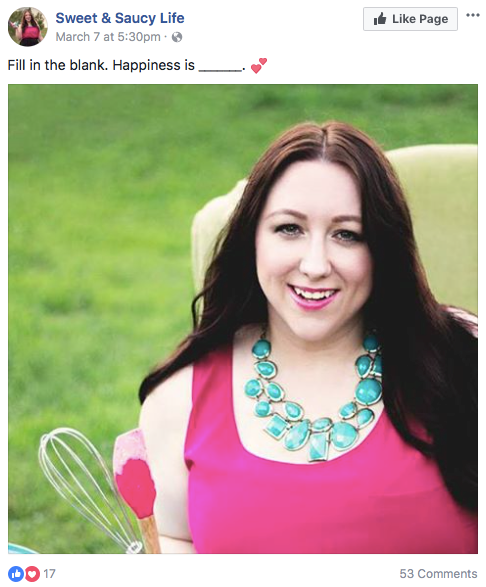 So, these are some of my best tips…17 killer Facebook post ideas any business owner can use. I hope you picked up some tips that you can use for your own business! I would love to know what types of Facebook posts you find work best for your business? Share your best ideas in the comments below! Congratulations, this is useful! I see many small businesses struggling with content creation & curation. – In your opinion, to what extent it applies to other platforms, e.g. Twitter or Instagram? – What about posting frequency? Until last year it was recommended to post often, once a day, which was quite a challenge for many small businesses. Now, with declining organic reach, it’s not that important anymore. We see many of our clients switching to 2-3 or even 1 post a week, and puttting more effort into best content creation and more money into post promotion. How do you think? If the content you create for Facebook is applicable to your audience on Twitter and Instagram, I would definitely multi-purpose it. If you post once a day on Facebook, your content will receive very little visibility. I recommend at LEAST 4-6 times a day for most small business owners. If you go to once a week, you might as well not even bother, in my opinion. Yes, it’s a challenge but if you want FREE organic reach, you have to consistently produce valuable and RELATABLE content that your audience will engage with. Hi Kim, I am to understand that FB wants us to boost posts, not put links to out pictures and share so much as it is clogging up the newsfeeds. Is that true? One of my friends said one of her got a warning from FB saying that they would be banned they had to stop sharing so much. FB wants people to go to our pages and I try to hard but I think my stuff is going out into space. I have 2 pages facebook.com/URStyleJewelry and a new one facebook.com/ecoearthseajewelry all natural sea glass recycled and gemstone silver gold so I am scared to do anything. Can we share others work with links??? Can we share our work jewelry with links to our websites? Or is FB starting to just not let anyone see our work. It looks like nobody sees mine because they dont respond and my UR Style Jewelry only has 293 as my earth and sea has 1,000 plus activity which tells me they are sending my work into space. FB now warning as spam when adding url on comments. I know how you run a poll or even ask a question in a group. I don’t know how to run a poll on my page. Is that possible? Thanks much! & Happy New Year! Thanks for the great reminders, Kim. I’m not finding that poll page, I get a “page not found” message. Can you help? A friend posted your information on 17 KILLER FACEBOOK POST IDEA. Great information. I want to increase my Mary Kay business and offer to ladies in different cities that I can get to or those who may be to busy for me to come to them , an option to do a Skype Pampering Session and I send the samples to accomplish this task ahead of time. I saw where you suggested doing a poll to see who would be open to the idea. However, I too, click on the link and didn’t get anything from the Facebook link. Please share with me the site or person who could assist me in setting up this poll. The other questions , how much or how many questions should I ask up front. From the comforts of their home I can reach more ladies. Love the SKYPE pampering idea! The general rule of thumb is the easier it is to participate the greater participation you will get. Keep it simple! My buddies from Adverway should be writing to you. Creating my own images was a game changer for my Facebook page! Also, my fans are mostly women, so even though i sell corsets, i’ll sometimes ask them advice on a recommendation for a face cream etc and that post will reach 1000’s. Thank you so much for this information. It is very helpful. Love that you got some value from it, Karen! Thanks for dropping in! Great tips Kim! I definitely agree with the inspirational messages and I find that short motivational podcasts also work well. YES! Love that personal connection part too. I think this is going to give marketers a big boost with Facebook really embracing video in 2015. Keep it up :-)! Great post, Kim! There’s a couple listed that I haven’t used yet. I find posting personal images, inspirational photos/words, and my blog posts get the most reach/response. Thanks for this. I haven’t tried a lot of these and will be interested to see how a contest post works out. Let me know how the idea works for you audience, Ben? Great list and one I will be sure to pass along to all my clients and will be looking to incorporate some of them into my own use. Look what Harold Compton just posted..How Do You Conduct a Website Audit ? I love the idea of a poll! I know that all these ideas work well because you taught them to me and I have found a way to survive in the organic reach game! I remember when I could post an update and reach 25-50% of fans. We just have to be more strategic now…and creative, too. And, also realize that we don’t need to reach everyone, we just need to reach our ideal clients. So this month I’m going to test some audience segmenting and see how that works. My goal is to do all the testing so my clients don’t have to all the trial and error. It’s challenging! Re: Polls: There used to be a “question” function where you could take a poll of your fans in a nice orderly way. I used it all the time…but it’s gone now. I clicked on the link you suggested http://www.facebook.com/poll but that page seems to be gone. What format works for you these days? A simple list? As for polls, you can actually just go to https://apps.facebook.com/my-polls/?fb_source=search&ref=br_tf Easy! As always this is very good information. Can you give an example of the fill in the blank questions. Not sure I understand what you are recommending here. It could be as simple as Peanut butter and ________________? Try fill in the blanks questions that yield probably interesting answers. Kim, thanks for sharing such great ideas that are actionable & relevant to social media rookies and veterans alike. All the suggestions are great but I especially like your ideas about pose a problem and ask for advice, and asking followers to fill in the blank. I’m adding them to my content calendar for 2015! I love this post! So many small business owners say that they have “no idea what to post about.” These are great ideas and I know I’ll definitely be sharing. Hi Kim, I find as soon as I post a photo with wording on it, Facebook treat it as a meme and give it no reach. So, that cuts out inspirational posts. Hmmm…I do this each and every day and get tons of reach. Where are you getting the photos you are using? Great post Kim! I have already shared this with a few of my clients who have struggled in the past curating new and fresh content! Thank you and thank you for sharing :-)!! Most of us are no names. I was Kim Garst when I started and no one knew who I was. My best advice is to dig in and do the work. Did you have a business coach, mentor or someone similar to that helping you? 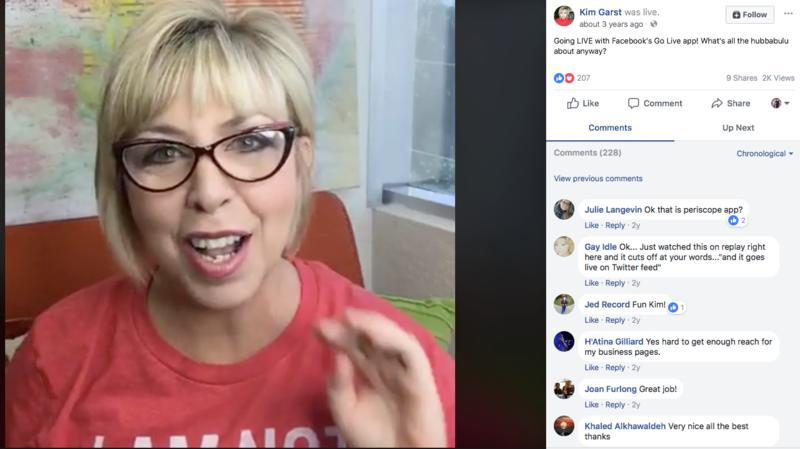 How do you get “Look what Kim Garst just posted..” (with a link to your last blog post) to show up automatically at the end of every comment that you leave? Thanks for all of the great tips! You are fabulous, as always!!! A great list of ideas. User generated content would also work well and could well tie into the contest idea as well. Glad to hear this, Ridwan! Great tips I think 15 was really hard for me given that it involved me sharing that I might be possibly shutting down one of my small businesses. I don’t look back on last year as a bad thing more like a learning experience, and a chance to improve and rebrand myself while focusing on my other business. These ideas are so awesome, thanks Kim for posting! I’m doing a blog traffic challenge and having a lot of interaction through this as bloggers come and share their blogs or FB pages. It works great indeed! One thing I need to post more is asking for suggestions, recommendations, and help – great idea in your #1. Thanks for this wonderful list, Kim! Several great ideas I’m eager to try out. The very best response I ever received to a Facebook post came one awful day several years ago. I drove off to an errand but left my iPad on top of my car. Shortly afterward I found the poor guy, took a photo of the ghastly remains, and posted it on FB! https://www.facebook.com/photo.php?fbid=2813858549760&set=pb.1357680256.-2207520000.1420518688.&type=3&theater. 149 friends replied (that’s a big number for me), and I’ve been wondering what triggered their responses. Did most people think “Glad it wasn’t me”?. Or were they like the person who stares at a traffic accident? Or something else? Robbie, in my opinion, the reason people responded was because what happened to you was RELATABLE to them. This is the key to consistently good content that people love by the way! You have to create and/or share content that people can relate to! Hi KIM! Lots of wonderful ideas here. Thanks for sharing. I’m already using some of the tactics in the list, and they’re indeed effective. I want to try running a poll. By the way, how do you manage a poll through a Facebook Page, since I think a FB Page cannot create a poll, unlike groups? Kim, the link that you keep referring people to for facebook polls is no longer available. Thats great ideas, I must try the fill in the blanks to ask why Thalasherry Foods are yummy!! Thanks, Kim. I am already doing some of these, but need to follow all the tips. Im definitely one of the frustrated ones when it cones to fb pages: to be more precise – i feel cheated. First you set up fb page, than you PAY so your friends actually see your posts. You pay so more people see and ‘like’ Your page. And then you need to pay even more so people who like your page actually see your post! Im not going to spend even a dime more for promotion. Here is another thing: it took me recently 15 min to find the pages i liked in fb. ( i dont want the notifications to be on) . That makes absolutely no sense… I like twitter much better these days. Didnt notice they hide anything on purpose. I hear ya on the cheated part, Joanna but it is what is is and we just have to find strategic ways to get around the changes. Hey… These are really very nice ideas I was looking for. I’m getting a broken link for that page too. I don\’t see where we can run polls on our page anymore, I think this feature has been removed. facebook(dot)com / polls doesn’t work. After checking Google, there’s a standalone app that does (free, but users are encouraged to go premium). I set up a test poll to try it out. Great article – Thanks a bunch. All of this info is kind of a no brainer BUT we often forget about all this. Putting it all together in one place, in one article, is fantastic!! Not only have I book marked this page but have copied and pasted it into a word document so I can refer to it and keep my content appealing. I had a friend forward this to me, and now I can’t wait to share it with clients who are content challenged. This should be a big help. Also, I completely disagree with your statement that you should be posting at least 4-6 times a day. Buffer has done some research that shows that the impact between posting 1-2 times a day vs 3+ is minute. Research has shown that the sweet spot is 5-10 posts per week. More info here: https://blog.bufferapp.com/social-media-frequency-guide Other than that, great advice! My advice is based on my own experience and testing with multiple clients. Every ‘expert’ has their own experiences that they draw from to make recommendations. The key is to TEST everything yourself for your own audience. I love the inspirational images you put out every day as in #5, Kim. But how do you make them? Or where do you get them? I’d prefer to make my own and put my logo (which I don’t yet have) in the lower corner like you do. Do you use http://www.picmonkey.com/ ? Or another site? Thanks! I use Canva (www.canva.com) for creating pictures like Kim does, you can choose various formats, upload your own pictures, add text and logos as you like. It is very flexible and easy to use. You shared some great ideas. The one that sticks out the most is the personal post. Yes, since I’m a salsa dancer, and sometimes I use my salsa dancing as an example for a point I want to make, this shows my audience that I’m not just about blogging and home business. It shows that I do have a life outside of blogging which intrigues my audience even more. Yes it’s great to share tips and solutions, but also on top of that you want to show more of yourself which can definitely build the interest of your readers! Thanks for sharing Kim! I hope your holidays were great! Facebook has become one of the necessary platforms for all the Business this days. So this are the useful info which needs to be followed to gain more visitors and keep interacting to know the reviews & suggestions. For any company who provides services on what baselines should they conduct polls and events if they don’t have any? I’m a social media manager of a neighborhood community and always looking for more ideas on how to engage my audience. Each month, we have a movie on the community green and I see this as an opportunity to use the poll application to engage the residents. Providing them two or three movie choices and see which cinematic adventure they prefer. Thank you, Kim! Thanks so much for mentioning ShortStack in this article! Some great tips here for businesses needed to up their Facebook posting game. Nicely done! I own a pest control company. I would like help with daily posting. Nothing heavy or serious. e.i. Did you know tidbits, bug jokes. 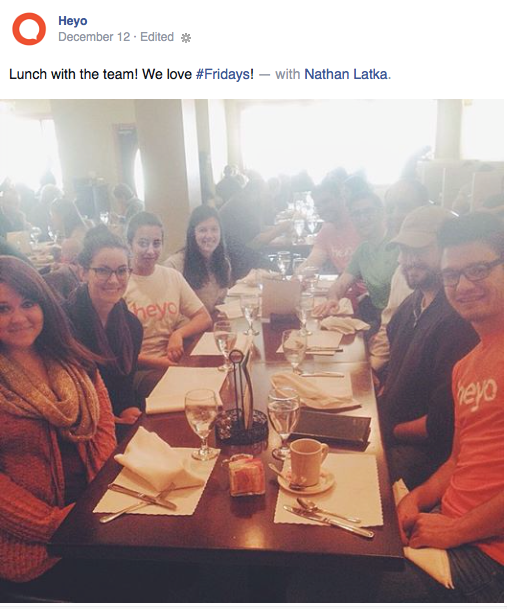 Fan only discount, photos of the team and the follow friday ideas are great. Thank you so much for the list. I have tried posting photos of our team on our Facebook pages, this idea is great. People actually love to see who is behind the scenes, they love see real human and most importantly these type of photos and videos increase the trust. This sounds like great advice for B2C businesses, but what about B2B businesses, especially in more industrial businesses? I don’t see a fan challenge or inspirational post working for a more technical, business-oriented audience. Any B2B ideas? I think it depends on how you structure your contest, Gil. I absolutely believe that you could host a contest that would be of interest to another business within your niche. I sell window coverings locally. Do you think Face Book ads will work for me? I tried it a few years ago and got nothing, but i’m always willing to try it again. Yes, if you target your audience well and with something that would be an attractive offer for them, I think they can work for anyone. 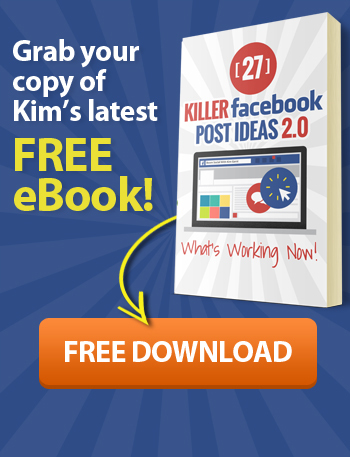 Thanks for this post Kim, this is indeed a really cool guide to post more content to facebook. Look what Azam Hamdoon just posted..MY TOP 5 Internet Marketing Tools List to Build Your Online Business..
Hi, Kim, This is very useful for me. Thanks for your sharing. Have a nice day! I’ve Implemented the Run a Poll on Facebook & It’s Really Success Full. Hello Kim, I remember the first time I stumbled upon you, your name, your awesomeness. This comment took me forever to write. I’m a fan and don’t want to seem like a pest. My name is Nesha and I’m a homeschool student (sophomore). My parents think I’m just being the typical teen that’s a bit obsessed with the World Wide Web but I’ve fell in love with marketing and would love to know more about it. I’m trying to convince my parent to create a marketing curriculum for me next year but have no clue where to direct them to. I am trying to learn as much i can so I can be the face of many other young ladies/entrepreneurs and show other girls that marketing is a male industry. Kim with so much information out there where would you suggest I start learning? Any particular names, books, websites? I’ve come across a few a few websites but don’t want to be a victim of any schemes. I baby sit weekly and have some money saved up to start learning more so any information would be helpful. Thank you for being such an inspiration. Nesha, sending you a private email. Thanks for creating this valuable post, it’s a great help. I particularly like idea number 10 Fan-only discount – but a little concerned it may go against Facebook’s T&Cs. Do you know for sure this is okay to do? Awesome tips, this post is a game changer. Go to try some of these in the future! Look what Iuvo Omega Limited just posted..Hello world! Lovely article Kim. Always keep reading your articles and feel so light to learn new things. It really helping me to get new things. Very useful and I like the poll point.. definitely page should share the result also once it is collected, but in a artistic way. This is my idea of small business.The question to web-developers, looking not for advice but just a reflections. So case actually that: I’m gathering content for my new web-site about cool “LUT” which you can buy throw the internet. Of course I hope for a large number of website visitors reside in multiple countries :o. Recently read an article about CDN here http://cdnsun.com/how-it-works , which will be delivering the files to your end users in a super speed awesome latency and throughput. Do I really need a Content Delivery Network or a simple hosting will enough? Not expensive at all! I use a web tool called Canva to create all my graphics. They have a free version but if you pay $12.95 a month then you can get the Canva for Work option with amazing features like a one-click magic resize and so much more. It’s an incredible tool! This is very valuable information. I love all the tips and they way things work together. Finding new ways to use your social media for purposes of directing your audience and keeping them engaged will only work to all benefits. Very nice article. I like your first idea about posting a question – I think people can connect with you if you seem more human online. Instead of acting like you have all the answers, asking a question can make you more approachable. Will certainly keep this in mind. Wow!! Some great ideas here! Running contests have been our number one best seller on Facebook. For some reason people love to win things. Ha! Very cool post!! Thanks for sharing this! I agree with you on the importance of Facebook. It really facilitates direct interactions with customers. I’ve seen small businesses struggle with social media content many times. Not every business has a dedicated marketer working full-time, especially if it’s local, small-scale shop or cafe or whatever. It’s even harder if your in the business of selling something like LED bulbs or something like that. I also see many site and platforms that offer help (at a price, of course). I’ve used one. Those sites are especially helpful if you have many pages to manage or just don’t have the time to check Facebook, then Twitter, the LinkedIn, then Pinterest, then Google Plus, then Instagram…. The platform I used, though, also offers stock posts, which are great for business owners who just want to post something cool and be on their way. And it’s helpful if they want to schedule a few days or weeks or months in-advance too. It’s called Capzool, and it’s worth a look! Most of my clients are coaches and I found that they although they have passion in what they do most of them know little or nothing how to use Social Media properly to grow their audience. Thanks for putting these all together, I now have something to share with them without me explaining things over and over to them. friends regarding this piece of writing, while I am also keen of getting knowledge. WOOHOO! So happy to provide relevant value to you. 🙂 That’s one of the biggest compliments you could give so thank you! Excellent items from you, man. I’ve understand your stuff previous to and you’re simply too wonderful. like wat you’re stating and the best way iin which you assert it. You aree making it enjoyable and yoou continue to care for to stay it wise. I just found your site a few minutes ago, but I got to say I like your outlook on life. I checked out your Facebook page, and it seems like we are pretty much in the same niche. I focus more on helping people deal with the fear of opening their first business, but when it comes down to it, it’s all about the mindset. I would love to be in contact, maybe we can help each other in the future. Thanks, Moshe. Glad you dropped in. Great to hear that you are resonating with your audience! Hi… These are really very nice ideas. I have started working on the same too. Amazing Ideas for newbies. Great ideas for staring or running business smoothly. Thanks for sharing post. I’m glad you mentioned cross-promoting with others in your niche, so many people are afraid of competition that they end up stunting the growth of their own businesses. Video postings have been the most shared of our facebook posts.Good ideas, Kim. We plan to use several of these going forward! Look up people you know and see if they have Instagram or just ask. you will follow each other and normally new followers are more interested . well i find a good site to learn about blogging thank you. Great Post. I like these quick and simple ideas. It’ s truly the little, memorable things that make a real difference. This blog contains wonderful and important information,thanks for sharing. Thanks for sharing this! I think showing behind the scenes on social media is the best way to get connected with the audience as posting such posts makes the viewers feel connected to the brand emotionally. 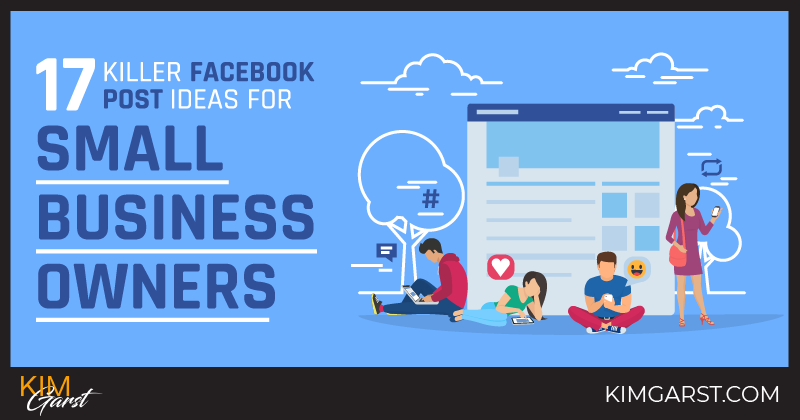 Thanks for sharing 17 Killer Facebook Post Ideas For Small Business Owners. Facebook is the great way to promote small business. I also want to promote my business on Facebook. So tell me how to increase the reach of my post. Thanks for sharing this wonderful tips. I will love to try these for my business. I think that this will definitely help me in my business journey. I have a unique post for each day of the week and find quotes and questions with images work well. I’ve also started uploading weekly videos with a doable tip and on the days that I post it, the reach and engagement is definitely better. – even the links get a click! Hi Kim; thank you for sharing these valuable tips. It is so nice to see those that are making it and those that have made it giving back without the sales pitch. Kim your honest approach allows readers / business owners the CHOICE to either reach-out to you for further help or not to do so, but there is no pressure either way. I also appreciate your honesty when you were asked if you have a business coach, mentor etc.. I thank you again Kim for sharing so freely and I am sure like myself many other readers can benefit to boost the FB of their business. Thanks for sharing 17 killer Facebook post ideas for businesses. I have been using Facebook to promote my business for some time now bit I don’t get the expected result. Now I believe it’s because I have Been post the wrong way. Thanks. First I want to say you that I’ve shared your post on FB for my friends. Then I would like say Thanks a Million for this mind-blowing post. 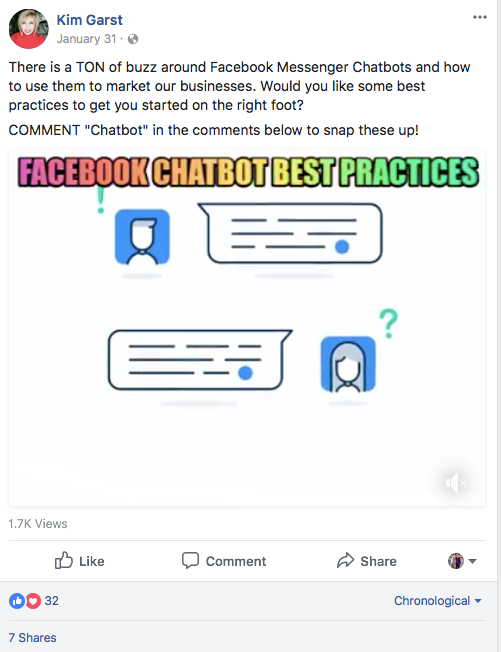 This is the most targeted post for Facebook business I’ve ever read. Thanks for sharing this. 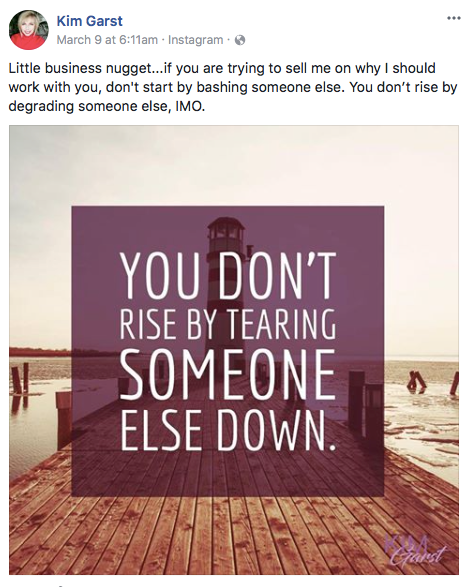 I want to improve my facebook post for my small business. Thanks for sharing this. Very good tips I use some of them already just want to say thank you. Great post you wrote dear. I really appreciate your wisdom and command on this unique topic. Nice article.. thank you very much for spending the time to write this post. Well what a brilliant post!!! I love it…love love it!!! I will love to try these for my business.I am thankful to you for sharing so freely and I am sure like myself many other readers can benefit to boost the FB of their business. very nice article. your discuss process is so informative. Awesome article! I love the idea of creating a challenge for your customers. I will definitely be implementing some more of these in our small business’s social media strategies! Thanks for the great ideas! It can be so easy to forget how important it is to just think outside the box sometimes. It doesn’t have to be all news or updates. thank you for sharing these valuable tips.I also appreciate your honesty when you were asked if you have a business coach, mentor etc. Really killer ideas. we have used the ideas as well. Great blog this is going to be of great importance to people like myself who is just an intern ad also new to social media marketing, am glad i have a clearer vision all thanks to your blog. Thanks for the great tips! Coming up with post ideas day after day can be easier said than done, so ideas for inspirational are always appreciated. Really helpful and fresh ideas. Thanks. Thanks for sharing such a insightful article ! I agree with you on the importance of social media portals specially Facebook. It really facilitates the engagement and direct interactions with your current as well potential customers. Those are the Best ideas for me. and those works. Thank you. Thanks for sharing this useful information.keep on posting like this. A debt of gratitude is in order for sharing this. I need to enhance my facebook post for my independent company. A debt of gratitude is in order for sharing this. Much obliged for sharing such a sagacious article ! I concur with you on the significance of web based life entryways uniquely Facebook. It truly encourages the commitment and direct associations with your current too potential clients. Continue sharing the learning… . Thanks for share these amazing tips, sure I am going to implement these on my Facebook business page. I just love the Q&A ideas and I think this work so good in my business niche. Nice article, According to a study by SocialBakers, you can expect your posts to reach between 3-4% of your fans. Native video shows the best reach (8-9%) but in any case, you should have some kind of budget set out to boost some of your posts. Pick the ones you know resonate the most with the audience type you want connected to your brand. There’s inspiration here to cover every social network, too. So, no matter where your audience is most active, you’re sure to find something you haven’t shown them before. Thanks for sharing such a insightful article ! I agree with you on the importance of social media portals specially Facebook.your article is so informative for social media marketing people.Social CRM is gaining in popularity and will continue. I just set up a small business thanks for sharing all the insights. Hi there, I found your website by means of Google whilst looking for a comparable topic, your site came up, it looks good. I’ve bookmarked it in my google bookmarks. I simply became aware of your blog through Google and located that it is truly informative. I’ll appreciate if you continue this in future. Lots of other folks will probably be benefited out of your writing. You actually realize how to bring an issue to light and make it important. More and more people must check this out and understand this side of the story. It’s surprising you are not more popular given that you certainly have the gift. We stumbled over here coming from a different web address and thought I might check things out. I like what I see so now i’m following you. Look forward to looking into your web page for a second time. If you want to increasе your knoᴡledge simply keep visiting this websіte and be updated with the latest information posted herｅ. Very nice work Kim. You are definitely generous. Thank you very much for share these good ideas. I was looking for the same and planning to start my page, This blog was very helpful for me. Hi everyone, here every one is sharing this knowledge, therefore it’s good to read this web site, and I used to pay a visit this web site daily. I will apply your tips for my small business. A must read the post! Hi, just came across this article. Its a great illustration of how small to medium sized businesses can use Awards based marketing to get their companies recognised on the 1st page of Google. Awards programmes offer many benefits to participants. After all they bring exposure and you can share the news of your win with your employees, clients, industry peers and target market as many times as you like. Additonally awards offer prestige and status, giving potential prospects peace of mind that they are working with a reputable company. There are many types of awards programmes, including those that host awards ceremonies (and you pay per table), organisations that award only their members (and you pay for membership and sponsorship) and those that provide promotional materials. The latter is a great way for those who are unsure about the benefits of using corporate awards programmes because generally nominees and winners do not have to pay a penny to be a participant. Winners often receives online exposure, usually with a reach much greater than their own marketing efforts can offer. Other free benefits can include the use of an announcement. Most participants have the option to purchase additional marketing materials to further promote their win, if they wish to, for use in social media campaigns, on their own website, email marketing campaigns or in customer newsletters. Good post. I learn something new and challenging on sites I stumbleupon on a daily basis. It’s always useful to read articles from other authors and practice a little something from their websites. Now i got clear idea about effective facebook post ideas.Thanks for this. “nice blog! It will definitely encourage people to start their own business, yes it encouraged me also the best thing in here is a list of business ideas is separately given which is helping in sorting out of benefits and drawbacks. Truly the best! You rock! Thanks for the blog. Truly the best! Great write-up, thanks for an insightful article Kim you have listed all the useful points to make the page engaging and successful. Getting yourself to differentiate from millions of others is the hard part. Thanks for sharing such perfect information. Thanks for a marvelous posting! I genuinely enjoyed reading it, you’re a great author. I will be sure to bookmark your blog and definitely will come back from now on. I want to encourage that you continue your great work, have a nice Day..! I am unable to read articles online very often, but I’m glad I did today. This is very well written and your points are well-expressed. Thanks for information. All the information are awesome. Im happy I visited your site. Super content. I love reading this. Thanks for sharing. I think it was good. I love to read articles. good work keeps it up. Nice read, full awesome content. Thank you for sharing. This was amazing article. 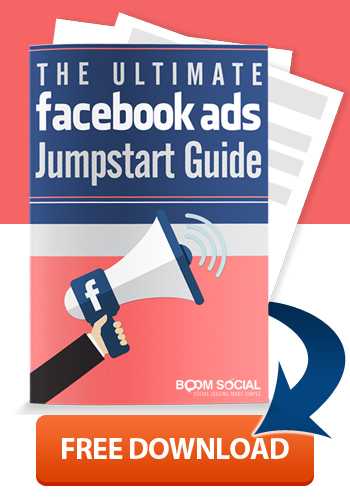 Got to know more about how to create attractive Facebook ad. Tunnel vision down a single way street keeps you off balance within your making decisions process. After all the web page that is certainly thus, making this offer would like to profit from this. They seem to be very loving toward it and expect a massive increase in the sector within the next few years. Excellent facebook post ideas. This killer captions are really interactive that can highly catch viewers attention. Thanks. It is a very amazing article. Your readers will really learn something from it. Each one of us will gain something out of it. Loving the content with superb idea. Post of fascinating for sure. Facebook is a great platform to sell or buy any business. Fb also started their own market place for the peoples who are looking to buy or sell business. Thank you for the tips and ideas, looking very helpful. This is the right website for anybody who hopes to find out about this topic. You know a whole lot its almost tough to argue with you (not that I actually will need to…HaHa). You definitely put a new spin on a topic which has been discussed for years. Wonderful stuff, just great! Keep sharing. This is perfect. This is very true. It’s nice to see someone with great knowledge about this. There are so many people out there spreading incorrect info about these stuffs. Thank you so much for posting it here. Thanks for sharing. Kim, you are a good writer-researcher. Really good tips for free writing. Thanks for sharing these tips. Hi there, I desire to subscribe for this web site to get newest updates. Thanks for sharing! I liked this article so much..
Hello there I am so grateful I found your site, I really found you by accident, while I was looking on Aol for something else, Anyways I am here now and would just like to say many thanks for a fantastic post and an all round exciting blog (I also love the theme/design), I don’t have time to look over it all at the moment but I have saved it and also included your RSS feeds, so when I have time I will be back to read a lot more, Please do keep up the excellent job. I don’t even know how I ended up here, but I thought this post was great. I do not know who you are but definitely, you are going to a famous blogger if you are not already 😉 Cheers!